We sing music from the 16th Century to the present day, with a strong interest in Renaissance Church music by composers such as Byrd, Tallis and Palestrina. Music is carefully chosen for each service or concert and we aim for thoughtful and musical presentation. We pride ourselves on achieving high standards whilst maintaining a relaxed and friendly atmosphere in rehearsals. We are often joined, for particular events, by young singers interested in broadening their experience of English Church music. In addition to two or three weekend visits to Cathedrals we also make one-day visits to Cathedrals and major churches in the South East. We welcome invitations to sing at local events and regularly put together smaller groups to sing at weddings in Kent and Sussex. Our Christmas concert and carol singing each year raises money for local charities. Our main schedule is planned well in advance but we are sometimes available at shorter notice. We are looking for skill in singing and reading music, as well as a commitment to three weekend Cathedral visits per year and to other events. We rehearse on Wednesday evenings, 8.00pm to 9.30pm in Tunbridge Wells. 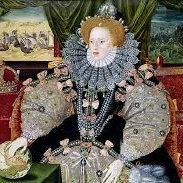 The Oriana Singers' name reflects the choir's early specialisation in 16th Century English music, in which Queen Elizabeth I was referred to as "Oriana". The best-known example is Thomas Morley's " The Triumphs of Oriana " of 1601. This is a collection of 25 madrigals by leading composers of the time, each of them ending with the words "Long live fair Oriana"